In the early 1900’s when this was mainly a rural area, the first services were held in Mr. Arkle’s home in Arkles Bay but it was soon realised that the local residents and holiday visitors needed their own Anglican Church and the original wooden building was started in 1915 on land owned by Mr. W. Polkinghorne and dedicated in December 1917. In 1936 a violent storm struck and blew the church off its foundations. When it was re-erected it was turned around facing north instead of east. 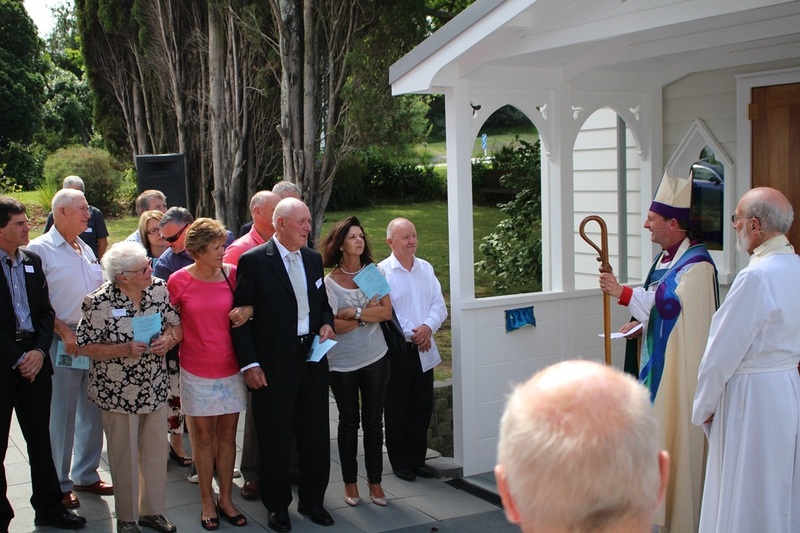 With the growth in the district and the gradual change from a retirement and holiday place to a dormitory for Auckland, the building was found to be inadequate so volunteers built the sanctuary at the North end in 1960. In 1968, responding to further growth, the people funded a further addition with the erection of the present hall to serve also as an entrance, a hall for functions and for additional seating when required. A Skyline Garage added in the 1980’s was originally used as an Opportunity Shop but those activities have been moved away to a shop in Manly and the place used for Youth and Sunday School activities. A further Community room was added for Sunday School use in 1994 with a grant from the Auckland Savings Bank and that has also serviced as a base for the Christian Lovelink and Food Bank operations. 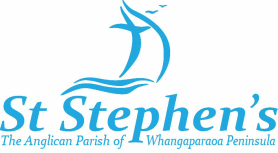 As from 1 July 2006 Auckland Diocese confirmed that we were officially recognised as a separate Parish of Whangaparaoa Peninsula. This was a significant stage in the life of St. Stephen's and we give thanks for the faithful prayers, active support and witness of all who had gone before and the members of the time who made it possible. 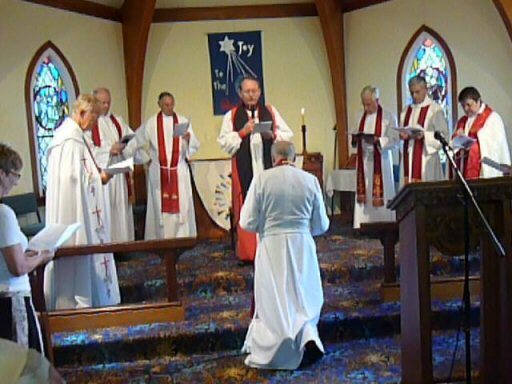 This was formally recognised at the Diocesan Synod in Auckland Cathedral on Saturday 9 September 2006 when the Revd Peter Cave was given his licence as Vicar of the Parish by Bishop John Paterson. The event was formally marked by a Liturgical Inauguration Service held in St. Stephen's on Wednesday 18 October at 7.30pm. Bishop John Paterson was in attendance together with Archdeacons Richard Hancock and Joyce Marcon and about 120 parishioners. Having become a parish in our own right, it was clear that the buildings needed to be enlarged. Peter started the serious work of design and funding, which was continued through the interregnum under the Revd Paul Huffam after Peter's retirement. On January 18th 2009, the new vicar, the Revd Ian Hardcastle, was inducted. With funds largely raised or promised, work towards a new building was in full swing. Immediately after Easter 2011, we moved out to Manly Methodist Church, who very graciously extended hospitality to us. Building work occupied nine months (see photo gallery) and the first service in the new building was on 12th February 2012. 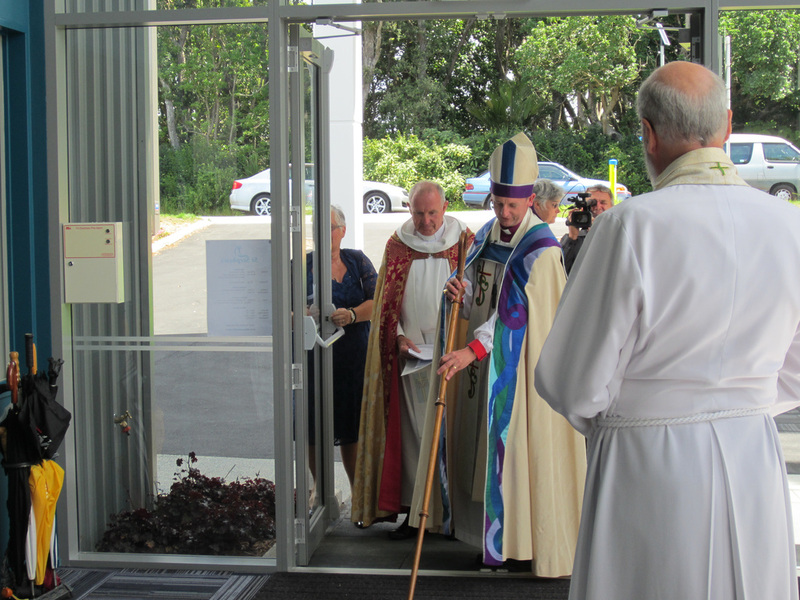 Bishop Ross Bay consecrated the new building a fortnight later. Meanwhile work on the original church continued and it was reopened as the chapel by the Bishop on 1st December, 2013. Barbara Thatcher was a Lay Minister who did much to bring many to Christ and into the congregation. She worked tirelessly to build up the body of Christ here. The South Window of the Chapel is dedicated to her memory. 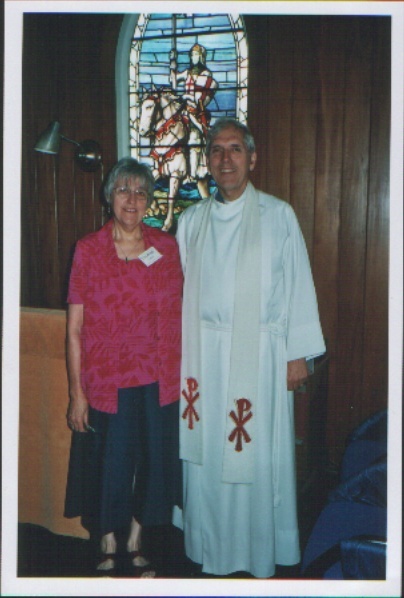 The first Vicar of the Parish of Whangaparaoa Peninsula: the Revd Peter Cave with his wife, Yvonne. 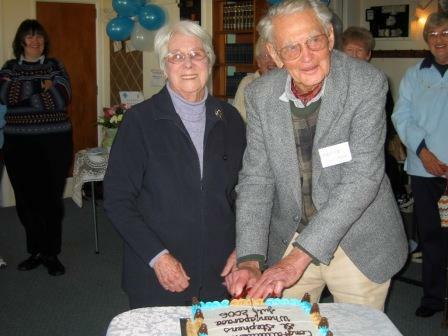 July 2006: The two oldest parishioners, Doreen Oborn and Geoff Hopkins, cut the celebratory cake on the parish being established as a separate unit. January 2009: The induction of the second vicar, the Revd Ian Hardcastle, by Bishop John Paterson. 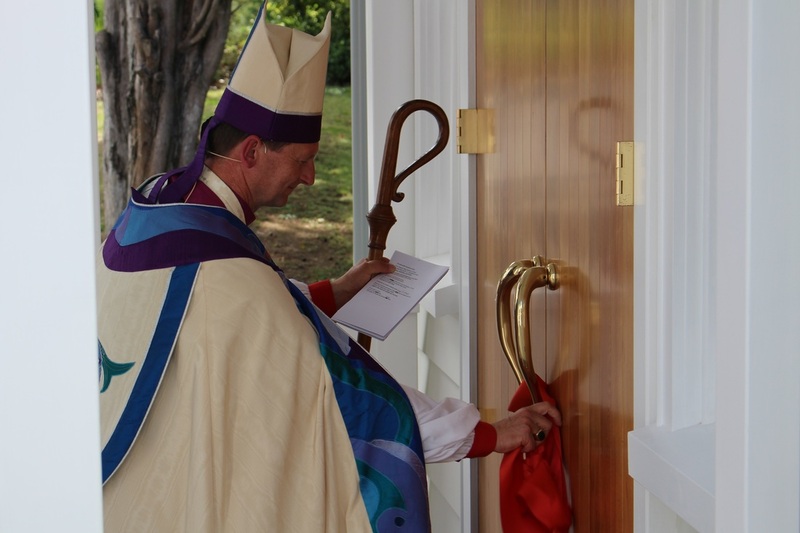 Bishop Ross consecrating the new church. As part of the restoration of the chapel, we commissioned a Conservation plan. This includes a formal history which explores in more depth the development of the parish.